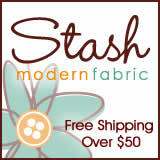 I just created the Facebook page for The Stash Bash. Come join us at http://www.facebook.com/TheStashBash. This entry was posted in Uncategorized on January 22, 2013 by stashbash.